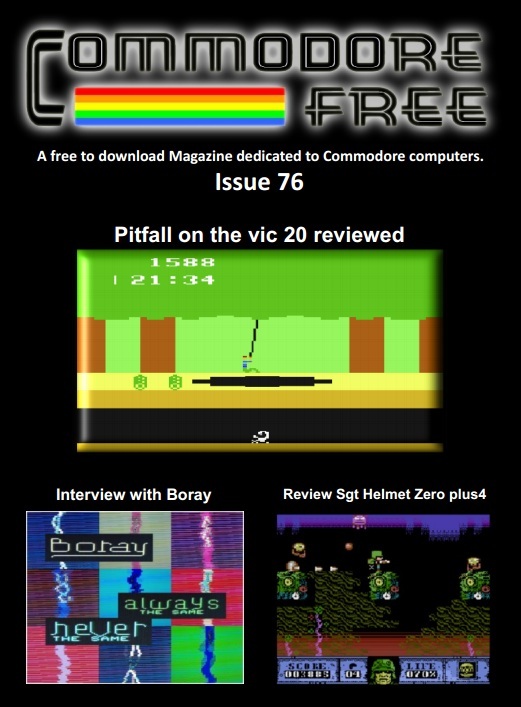 Enjoying a cuppa before work and the very latest issue Commodore Free magazine. I’ll check out the cover tape later on – especially the downhill skiing game. Head on over to http://www.commodorefree.com to grab your copy and if you happen to have a tablet, checkout the new Html5 versions too. Good old Silica Shop and in the UK, pretty much synonymous with getting a great deal on either a new Amiga 500 or a Atari ST (or STe) package. Their ads featured in all of the computer magazines of the day and generally drooled over by many who we’re saving up their penny’s to enter the high tech world of 16 bit wonder. Go back a little further like this scan from issue #4 of Computer and Video Games magazine – February 1982 and we see Silica Shop offering a whole range of funtastic electronic entertainment. Quite a few of these devices appeared in our parents home back then such as the the Colour Cartridge T.V game, the Atari 2600 console, Speak and Spoll (:-)) and the simply awesome CGL Galaxy 1000 handheld game – which is still have with me today. So going back, what would tempt me today? 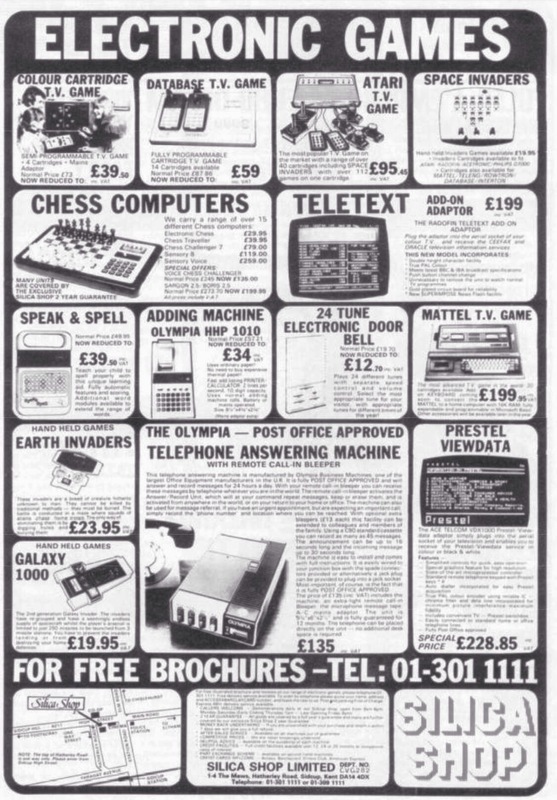 Well the Intellivision seems a bit pricey and the Teletext addon is rather pointless considering future TV’s would soon have it as standard and I don’t think our house is big enough for one of those telephone answering machines. So what’s left I wonder? Well, I quite like the look of the Database TV game – surely the crappiest name for a console but I’m intrigued by those Atari 5200 styled joysticks and the price has been slashed too – Woooo! You can’t go wrong with an electronic chess set though and the one pictured looks rather awesome. Sadly, I bet that’s the model they’re selling for £259. p.s I brought Earth Invaders in the end. 880 Gamer Magazine #2 – Amiga Magazine. I must have missed this somehow so thanks for the heads up RetroCollect! 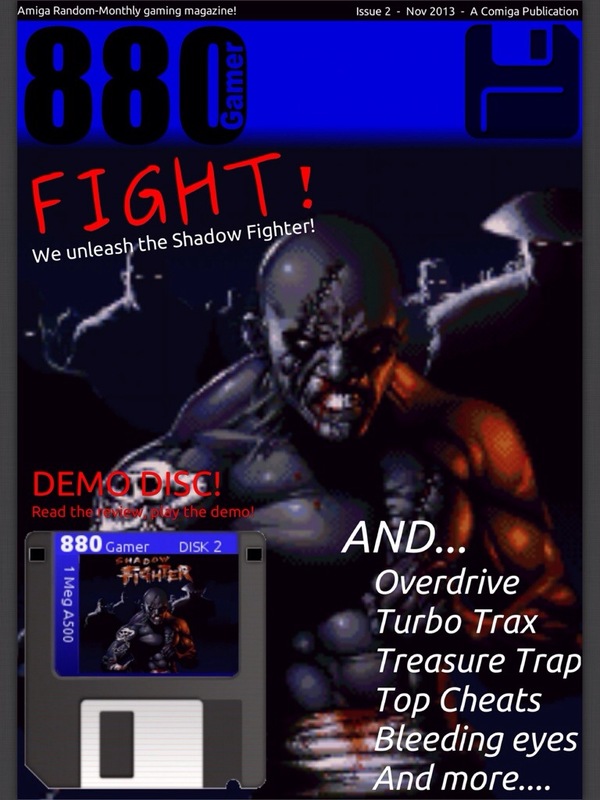 880 Gamer Magazine is a digital retro magazine for Commodore Amiga gamers. I’ve only had a quick scan during lunch break this afternoon but am definitely liking what’s going on here. It looks highly polished, had me laughing out loud on the few paragraphs I read and with the inclusion of vintage amiga/game adverts makes it appear just like a genuine publication of the 80’s and 90’s – a feature I wish Retro Gamer Magazine would bring back to their print mag. 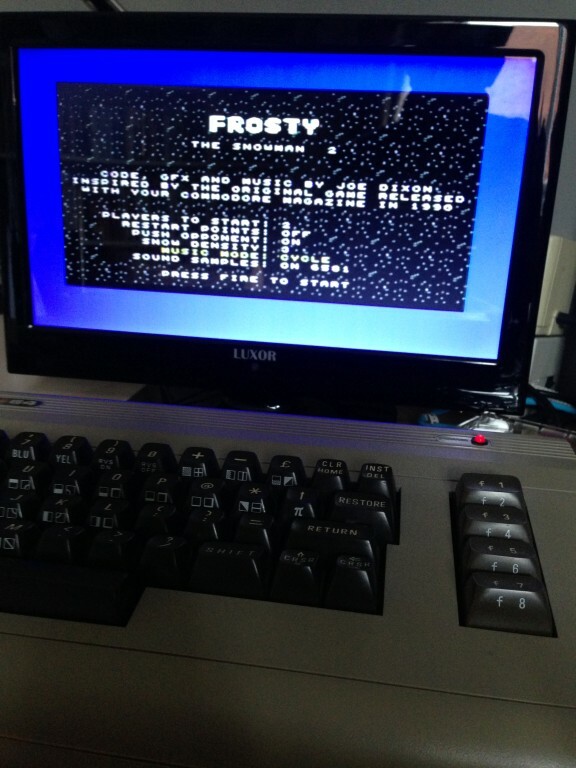 The inclusion of a digital cover floppy disk is a great idea too and certainly in keeping with its retro flavour (and highly popular with other fan mags like Commodore Free) but maybe it would have been better to include more recent scene stuff, pd or home brew releases etc rather than a demo of an old game? – I guess that’s the whole point of keeping it old school though? Either way, after a little more sanding of door frames when I get home tonight,I’m looking forward to putting ones feet up and having a really good look at this and issue #1. Here the link to the downloads which include the pdf magazine and the adf cover disk. 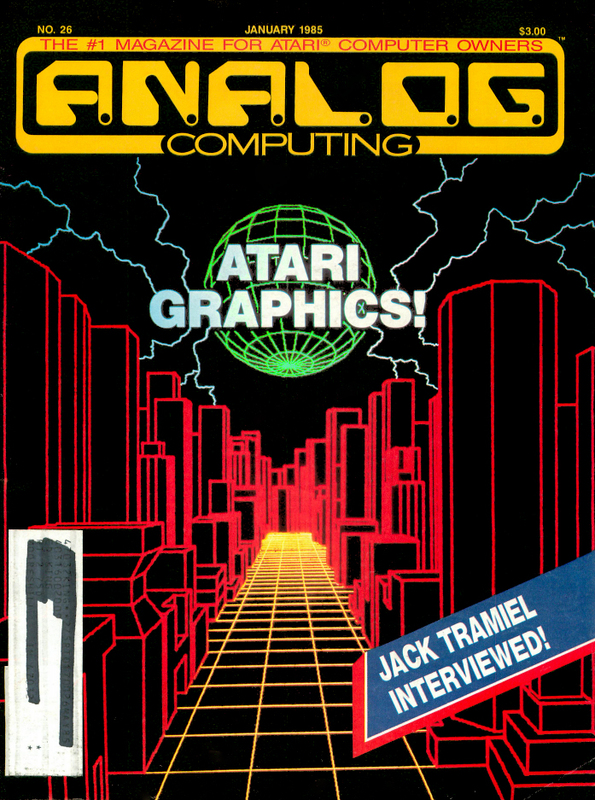 This January 1985 issue of A.N.A.L.O.G Computer magazine sports my kind of cover. Neon cities and gridline highways. Think I’ll read the JT interview before firing up the Lightcycle. Perfect timing! 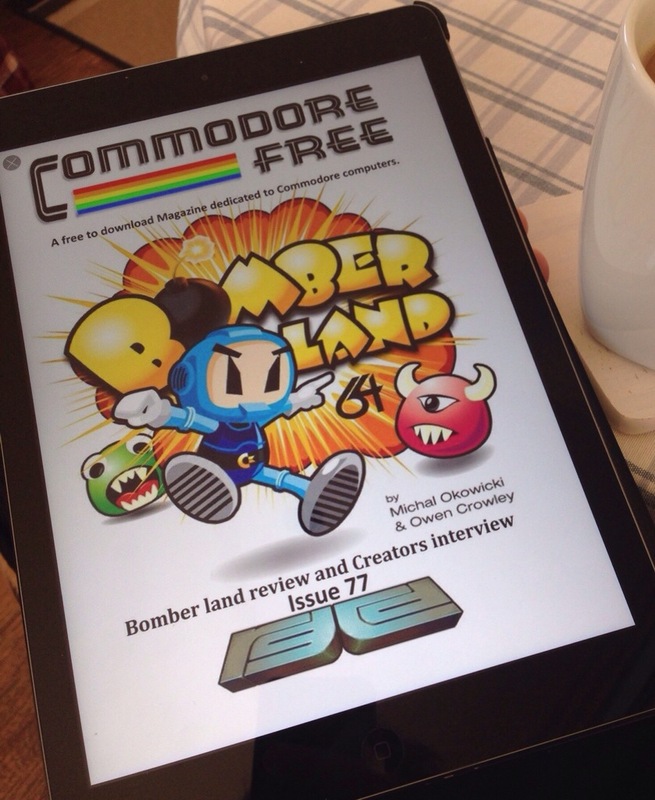 Feet up, mug of good stuff and the latest issue of Commodore Free magazine. 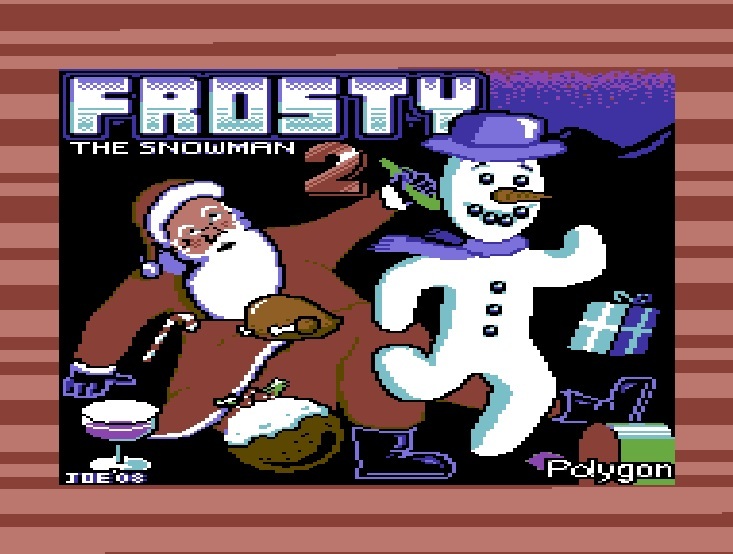 and for some festive retro gaming, we’ve been having a laugh with Frosty the Snowman 2 which you can find on this months cover E-Tape. Snow, Santa, presents, Christmas puddings of doom and SID renditions of ‘Walking in the air’, ‘Do they know it’s Christmas’ and ‘Fairytale of New York’ what more could you want? Everybody now….’We’re walking in the airrrrrr…(do dooo do dooo)…..we’re floating in the moonlit skyyyyyyyy’ etc etc.